Dog costumes for Easter, Christmas, and other holidays tend to be dictated by the dog costume manufacturers, although more and more every year, handsome handmade one-of-a kind outfits make lucky dogs stand out in crowds. 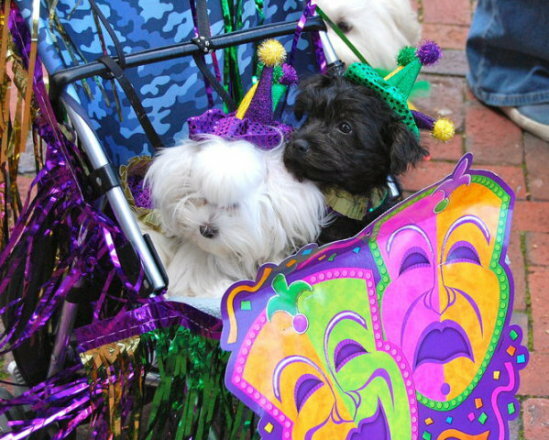 But there's nothing like a Mardi Gras dog parade to bring the pet wardrobe designer out of the closet! 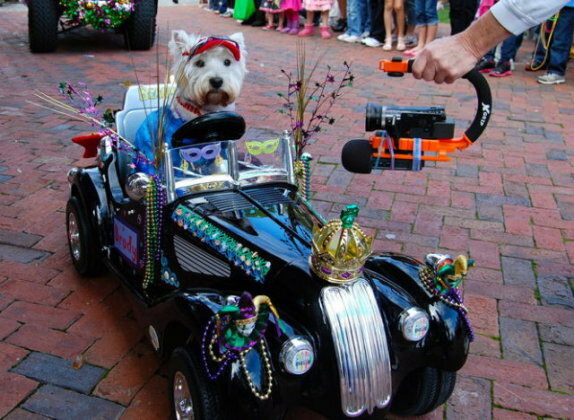 Sandestin, Alabama held its 9th Mardi Gras Dog Parade last week, and photographer Dennis Pillion at AL.com took a slew of fantastic photos of some of the neatest costumes and gear you've ever seen on a dog. 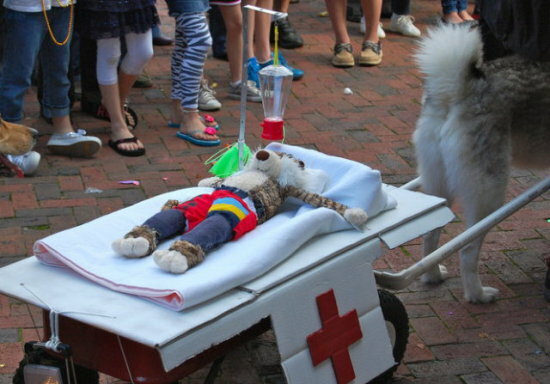 There were 50 + dog entries in the parade that were judged on personality, adherence to the theme, "Cruising Canines: Fetch a Wave," and other criteria. Bribing judges was encouraged. While the entrants marched to the beat of The Bay City Brass Band, other dogs just kind of mused through the crowd, enjoying their strolls, adorned in lesser get-ups like beads and feathers. Here are just a few of photographer Pillion's great images. 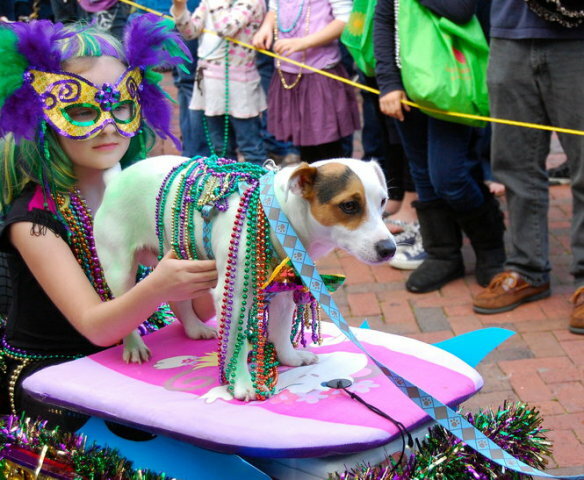 There are 80 brilliant photographs by Dennis Phillion of the dogs and people in Sandestin's Mardi Gras Dog Parade. Don't miss them; they start here. This Cat Does Not Want to See the Vet -- The Animal Video of the Day!! !